Blog Preview: This blog is part of an ongoing Q&A series with CISOs on preferred marketing and sales techniques, leading up to the RSA Conference, taking place March 4-8 in San Francisco – where cyber professionals from all over the country will come together to make connections and keep the digital world safe. As an industry veteran, John Masserini has gained widespread recognition across multiple verticals in information security, especially in providing a more business-focused approach to information risk programs for today’s security challenges. 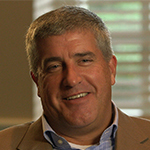 In his current role as Global Chief Information Security Officer (CISO) for Millicom (Tigo) Telecommunications, Masserini leverages this extensive background to drive the company’s information security and risk management strategies, including security architecture, security operations, regulatory compliance and business continuity for all global business lines at Millicom. In an interview with Merritt Group’s Security Practice Lead, Michelle Schafer, Masserini shared his views on what it means to be a CISO in today’s landscape and what security vendors should know before trying to market and sell to him. He will be presenting his views at the upcoming T.E.N. & ISE® Sales and Marketing Breakfast during RSA 2019.